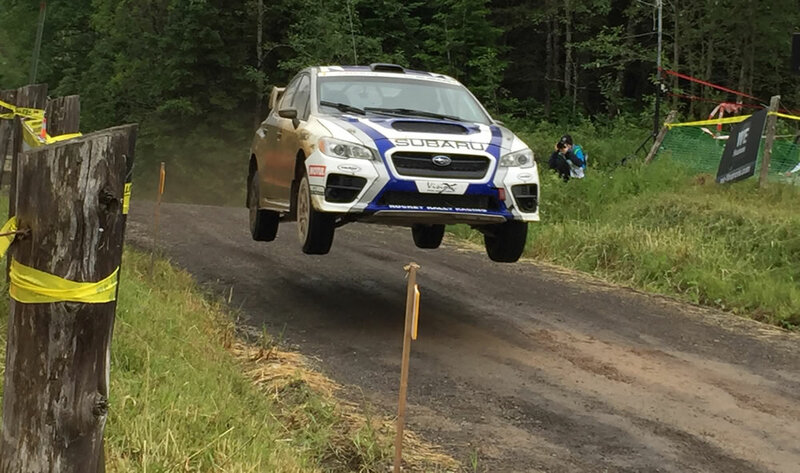 (MISSISSAUGA) — Subaru Canada, Inc. (SCI) is thrilled to announce that Subaru Rally Team Canada (SRTC) claimed victory during the Canada Day long weekend, with a convincing win at Rallye Baie des Chaleurs. Antoine L’Estage and co-driver Alan Ockwell were able to open up a lead on day one, which they were able to maintain despite some minor setbacks on the notoriously rough New Richmond terrain. Overcoming driveline issues early on, the team battled back on day two, putting on a charge to extend their lead, finishing over three minutes ahead of the second place team. The win also vaulted L’Estage into a tie for first place in the driver’s championship, providing maximum points in a very tight race for the top position. In addition, a total of five Subaru vehicles finished in the top ten, including hometown heroes André and René Leblanc who joined SRTC on the podium after placing third. These strong results helped open up Subaru’s lead in the Manufacturer’s championship, providing a comfortable cushion in the hunt for a record 13th title. Up next the circuit rolls in to Montpellier, QC for the Rallye Défi September 7-9. This race marks the midpoint of the 2017 season and a win would help SRTC solidify their lead in the hotly contested championship race.